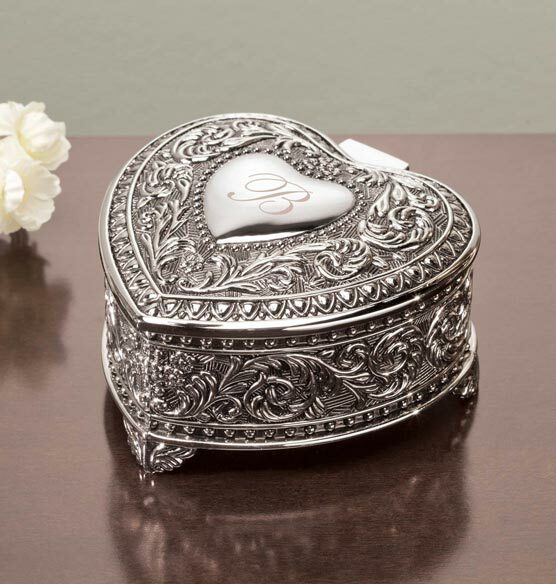 Select the perfect personalized keepsake box for her with this Heart Keepsake Box. 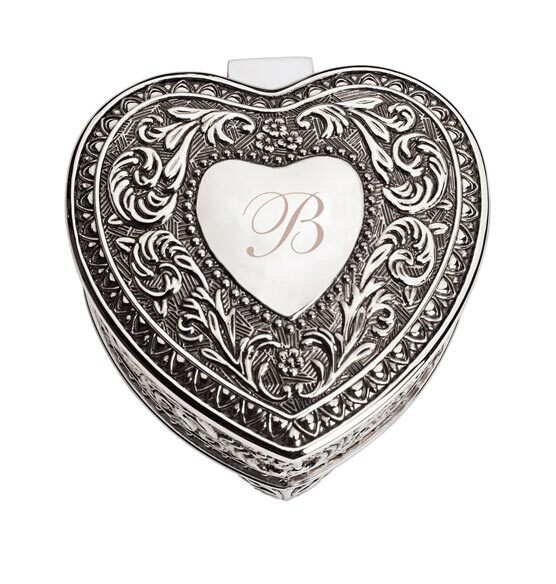 This decorative metal memory box is shaped like a heart and features an elaborate antique silver finish floral motif. 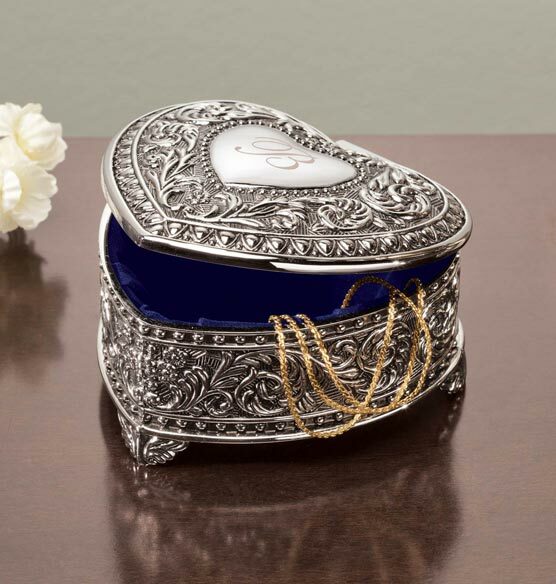 Open the hinged lid to place jewelry and other treasures on soft blue velvet for safe keeping. Customize vintage keepsake box lid with a single initial in script font. 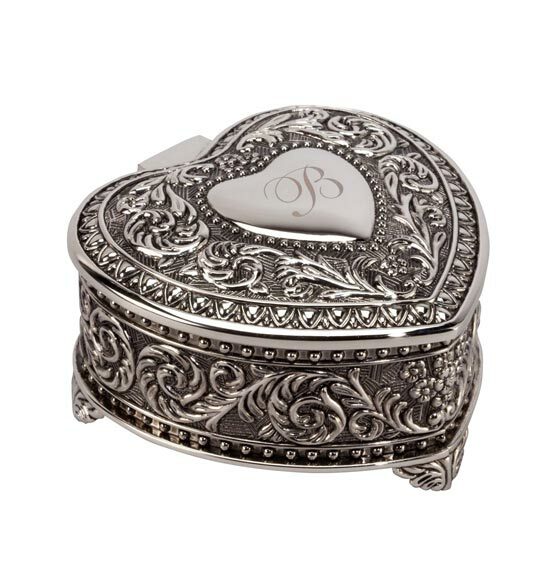 This is a pretty keepsake box, but the engraving is very faint. If I had known the personalization would be so poor, I would have just left it plain. All in all, I think I could have found any box of similar quality for less money. It's definitely overpriced.